Best Massage Chair: Don’t Buy One Before You Read This! Kawaii Massage Chair Review: it’s a contender! 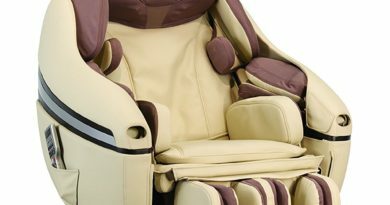 Osaki os-4000 Massage Chair: Is it worth your money? The DR-91 3D is one of the foremost massage chairs in its class. And well worth a closer look. You are probably looking for the ideal massage chair to match your specific needs and objectives. With the advancement in technology, a massage chair can offer so much. Narrowing it down, you must have heard or come across the Fujita brand. This brand has a reputation for delivering on quality so you have every reason to acknowledge their line of products. 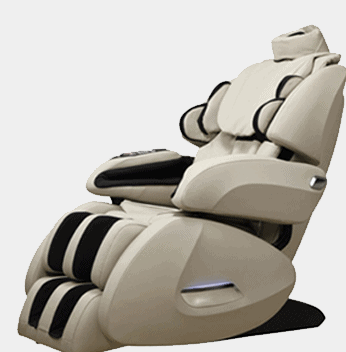 The Fujita KN9003 massage chair is probably what you are looking to find. The Fujita Massage Chair range are renowned for their Zero Gravity and Thai stretching line of chairs. They have recently released the new Fujita KN9003. This model looks very similar to the KN7005R which has recently been discontinued. However, the KN9003 still has all of the advanced features of the KN7005R. The Zero Gravity feature is obviously one of the main pluses of this chair. But the Intense Back Rollers providing a massage to the lumbar and back region are very powerful and effective. The KN9003 has a sleek, modern design, with Foot Rollers to give an authentic and pleasurable massage to your feet. This chair is available in a number of colours: Black, Latte, and French Grey. We can take a closer look at the best features in this Fujita KN9003 Review. When looking for a massage chair, it is important that you outline the benefits of the massage chair by looking into its features. Other than functionality, it offers four distinctive colours you can choose from to complete your home décor. 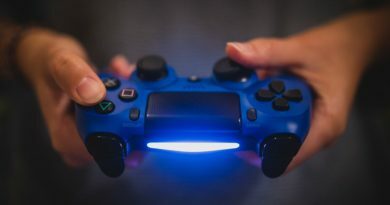 Other than a unique and compact design, it comes with the following features that offer the precise benefits you are looking to obtain. If you are looking for an effective Reflexology foot massage the newly added Foot Rollers target the pressure points of the foot giving an effective, deep massage to the soles of your feet. If you know anything about Reflexology and how it affects other areas of your body, you will know that targeted pressure to certain parts of the soles of the foot will increase the blood flow and can be effective in alleviating pain and stress in many parts of your body. The leg rests also adjust an extra 7.3” giving added length for the legs, which is great if you are taller or just want to stretch out, especially in the zero gravity mode. In this, you can take on each day on your feet with ease and without strain from a hard day’s work. Individuals with careers such as nursing or sales will love this feature, giving them strength to get through another day. The Fujita also comes equipped with a 31″ Intelligent 4 Roller System. This reaches from the lumbar region right up to the top of your shoulders. These combined with the intensity level settings range from a deep tissue massage down to a gentle but firm massage of your entire back. There are 3 width settings for the rollers, which means it can accommodate any body frame from petite to larger. This provides an excellent massage for all who sit in the chair. The innovative S-Track technology and the quad style heads mean the massage is able to follow the contours of the back and curvature of the spine perfectly. This feature makes it possible to unfold and stretch the spine and legs. This in turn, serves to build your overall body structure. This places a focus on your shoulders, waist, and back. Depending on your needs, you can choose between the 6 provided automated programs designed for men and women. The different programs have come with differing power strengths, which are also easy to operate with zero gravity chairs already existing in the market. With zero gravity, you will be able position yourself comfortably while reducing stressful movement so it massages your body efficiently with just a touch of a button. This also enhances relaxation. This feature ensures that you can adequately massage your entire body. There are up to 46 air bags that come with 3 adjustable levels of intensity. They all target different parts of your body. Including, the neck airbags installed at the neck which targeting the “tsubo”, footrest targeting the calf, armrest, shoulders, head, and the legs. The key benefits that come with air compression depending on the location. Overall they help to relieve strain and tension, boosts blood circulation. The air bags also serve the purpose of ensuring your body remains in position so it offers great stretching modes. The combination of all these airbags gives you a fantastic full body massage as well as ‘holding’ your body in place, allowing the chair to give you a stretching mode as well as the massage. Waist swaying Massage – The 2 airbags support the waist to which help to relieve tiredness and shape your waistline. New Thai Body Stretching Massage – Which stretches the legs and spine. Pelvis Swaying Massage – In this mode, the airbags are designed to flex and stretch stretch and flex the muscles in the pelvic area and the lower body increasing blood flow nd flexibility. This technology aims at enhancing invigorating energy by targeting the possible acupoints in your body. Whereas the human body has about 350 acupoints, about 100 are situated in your back and neck. 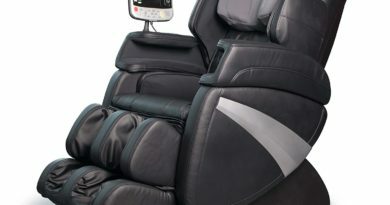 This massage chair features different massage techniques including Shiatsu massage, Swedish massage, as well as deep tissue kneading to target all the acupoints. With this feature, the chair is able to automatically detect different body types and further measure your spine’s length thus understanding where to massage in an effort to deliver the best of results. You no longer have to manually place the right settings, which can be hectic before you understand where to place it. It is comfortable for every individual as it adjusts automatically to different body types. Most of the features are automated making it easy to use despite the several technologies. If you love music when relaxing, this chair does not come with speakers but in reference to functionality, it will serve you effectively and efficiently. Check out some of our other reviews for other massage chairs here. Who is this chair for? Right about every healthy individual considering the current lifestyle of individuals can use this chair as it helps relieve tension and strain from day-to-day work. However, there is a weight limit of 240 pounds. Who is this chair NOT for? Individuals with medical concerns are recommended to consult with their physician before using this massage chair. Can you use this chair if you are pregnant? As much as expectant mothers deserve a relaxing and stress-free body, it is not ideally recommended that they use the chair especially as the pregnancy grows. Will this chair fit into my home? This is dependent on the available space but it should be able to fit into your home both when it is upright and when it is in the relining/zero gravity position. To help you take measurements, the following are its dimensions. The Fujita KN9003 massage chair delivers on functionality to match the price tag. 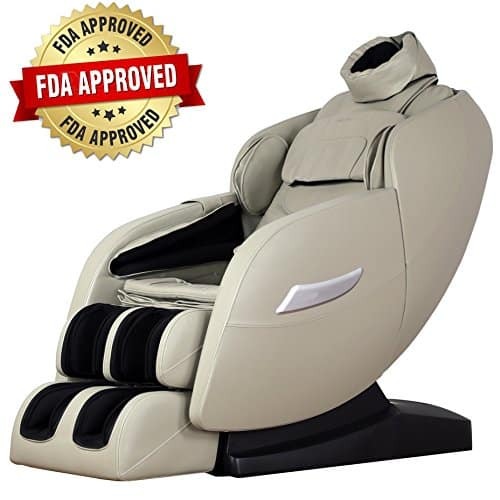 With the technological capabilities, this massage chair can practically carry out every massage process you desire while providing several benefits to boost your overall health through proper blood circulation in your body. Healthy individuals seeking to relieve tension, stress, as well as strain from their day-to-day lifestyle should consider this massage chair. You can have it in your home, office, and if you run a business helping individuals with relaxation, this would be a great investment for you. Purchasing the Fujita KN9003 massage chair can be pricey though its capability matches this up. However, you do not have to give up that fast just for its price. There are different purchase options. While you can walk into a retail shop and buy it, you can also shop online and it will be shipped to you. You will not incur shipping or tax charges for some states. Returns are also not paid for by the consumer. This also comes with a money back guarantee for dissatisfaction within the recommended period. There are different sellers and you will notice competitive prices. Some sellers offer discounted rates for a given period. Copyright © 2019 Which Massage Chair. All rights reserved.